A place to post your own comparisons for inclusion in our database. For more info, please read the announcement within the forum. 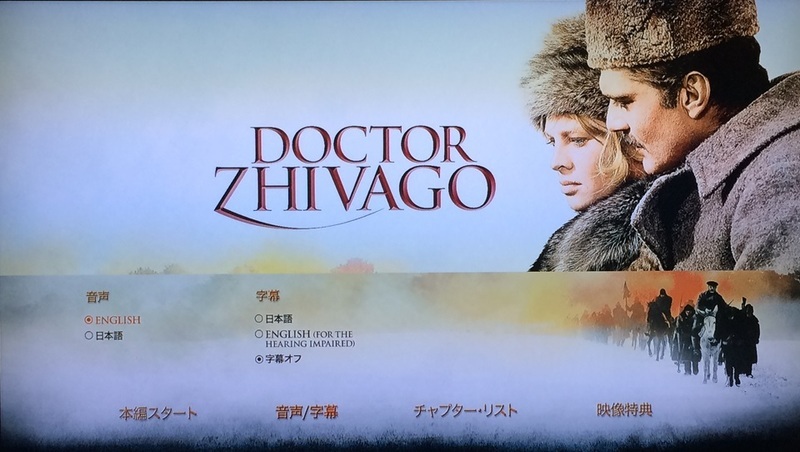 Warner Brothers and Twentieth Century Fox are two companies that make it a habit to “hide” Japanese audio and subtitles from non-Japanese menus on their Blu-ray discs. If you are submitting specs for a Warner or Fox Blu-ray release, it would be helpful if you could check for confirmation when submitting. 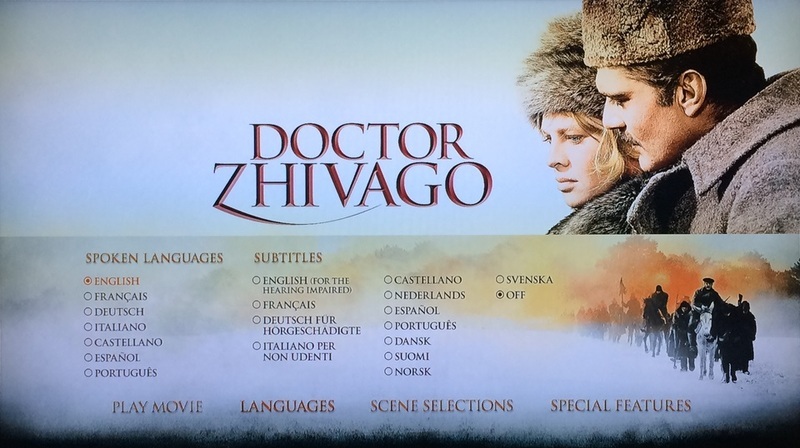 “Doctor Zhivago” Warner Brothers Blu-ray. There are multiple audio and subtitle options but note that “Japanese” (日本語) is nowhere to be found. It states that (*) Indicates included stream hidden by this playlist. So, the Japanese audio and subtitles are physically on the disc. How do you access them? Notice that “English” and “Japanese” (日本語) are the only options available on the Japanese menu, locking out all other dubs and subtitles. This is a practice so far ONLY seen on Warner Brothers and Twentieth Century Fox Blu-ray and Blu-ray 4K UHD discs. Other Hollywood companies such as Universal, Sony, Disney, and Paramount do NOT hide Japanese and make them normally available on any language menu. For both these titles, Japanese is clearly on the discs according to BDinfo. But even with setting the Blu-ray player’s menu to “disc menu -> Japanese”, only the English menus appear. 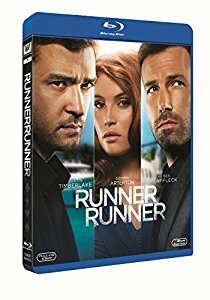 For “Runner Runner”, Fox created a Japanese dub and sub track, but for some reason they decided not to release the film in Japan themselves and sold the rights to the Japanese company Happinet. Happinet created their own dub and subtitle track and released their own Blu-ray which is different from the Fox disc. Apparently the Fox discs with Japanese audio and subtitles were already authored, but instead of reauthoring the disc to remove the Japanese options, they decided to remove one thing - the Japanese menu screen. Therefore players are unable to access the Japanese tracks. For “Arrow: Season 1”, it uses the same lockout by removing the Japanese menu screen. It may be due to the US set being much cheaper than the Japanese set even with identical content. Strangely, seasons 2, 3, and 4 have accessible Japanese audio and subtitles on the US releases. So far “Japanese” is the only language I have seen that gets the “hidden” treatment. Why do they do this? I’m not exactly sure but it does create headaches for people (like me) looking for non-Japanese releases with Japanese options. Last edited by James-Masaki_Ryan on 08 Feb 2019 16:23, edited 2 times in total. Reason: Re-hosted the images to DVDCompare proper to get rid of the nasty Photobucket ransomware. Have you got a list of other possible cases that I can test? I know of one, Kingsman: The Secret Service, I'm guessing it was going to be released by Twentieth Century Fox but then it was released Sony a few months after the rest of the world had their releases, I have the Spanish release and I can confirm that it does indeed have Japanese menus, audio and subtitles. "Kingsman" has already been confirmed here. Can't recall any particular ones at the moment that could be checked but it is always the Fox and Warner releases that need double checking. 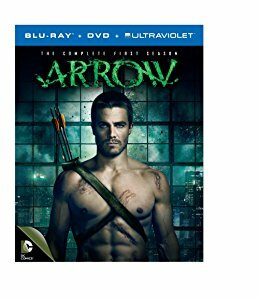 Fascinating, re “Runner Runner” and “Arrow: Season 1”. Aren't the Japanese sub/dub options selectable via the remote either? Brent_Reid wrote: Fascinating, re “Runner Runner” and “Arrow: Season 1”. Aren't the Japanese sub/dub options selectable via the remote either? No, they aren't. they are completely locked out. I wonder why you have this post here still? Åsmund_Utvik wrote: I wonder why you have this post here still? 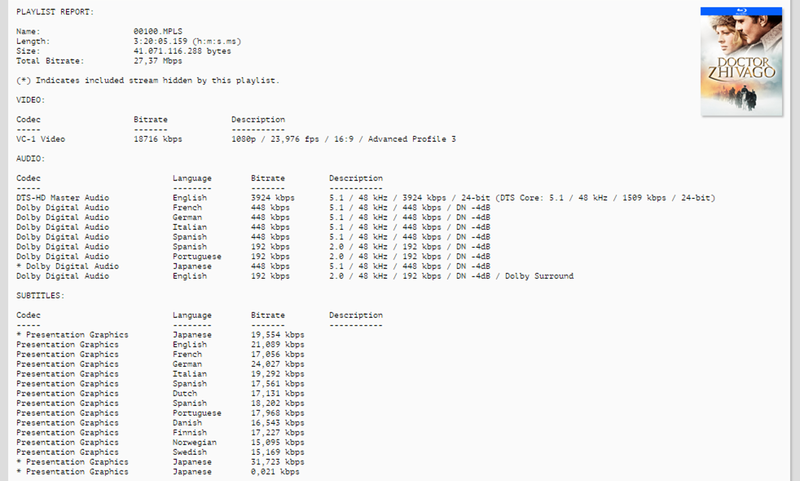 So people can read it and learn before submitting specs.